Are you trying to plan a big family meal in Toronto for the holiday season but don't want to actually do the cooking? 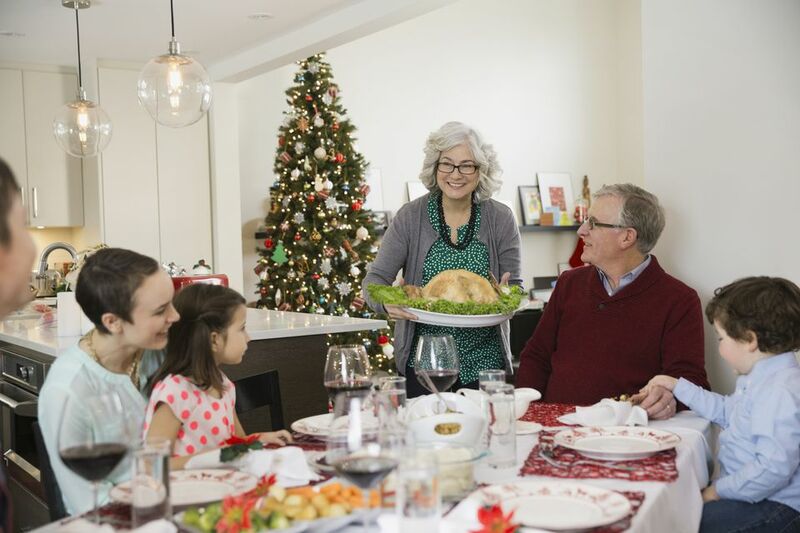 Well, by ordering a take-out turkey dinner for a holiday or other family celebration you can have the best of both worlds, and fortunately, there are several places in Toronto where you can buy prepared meals for Thanksgiving, Christmas or other seasonal celebrations, and in Mississauga, you can even get a full turkey dinner year-round. Unfortunately, this can't be a last-minute fix when the grocery store runs out of turkeys on Christmas Eve Day. Different places have different cutoff days for ordering, but always assume you'll need to place your order a bare minimum of 48 working hours in advance, and someone will most likely still need to pick up your seasonal feast. Remember that while this option is easier in many ways, someone will still need to be sent out on a holiday errand—possibly one that will involve standing in line for awhile. Also, if you're worried that ordering dinner will mean your family celebration is missing that special something, consider preparing additional vegetables or a dessert that's been a traditional family favorite. The Black Creek Pioneer Village offers sit-down meals during the Thanksgiving weekend, but there's also a to-go option you can order in advance and pick up on the Sunday or Monday of the holiday, and options include turkey, stuffing, and gravy only, or you can get the full meal, but prices are based on the size of the turkey and the number of people you want to serve—four, eight, or 12 people. The Fairmont Royal York Hotel, across from Union Station, also offers a to-order complete meal from four to eight people. ​The Royal York's "Turkey to Go" program also supports the Daily Bread Food Bank with turkey donations, and pick-up is available on December 24 and 25—click on the "Festive Brochure" link on the Fairmont Royal York website for all the details. Pioneer Village also puts together a Christmas meal on weekends throughout December, though tickets go quickly, and you can typically get some great prepared meals at the Fairmont Royal York Hotel if you check out the company's seasonal menus in advance. In Rosedale, the Summerhill Market, located near Mount Pleasant Road and Saint Clair Avenue, regularly sells quality groceries, prepared foods, and catered meals, but for the holiday season expand their menu to include a take-out offering of free-range sliced turkey dinners for you to warm up at home! These meals come complete with apple, onion, and sage dressing, gravy, buttermilk mashed potatoes, orange cranberry sauce, maple roasted butternut squash, and french green beans. Alternatively, you can get a beef tenderloin dinner, and remember there are a variety of other prepared foods available year-round. However, you will need to order at least 48 hours in advance in order to secure your order during the holiday rush, and the sooner you place your order, the more likely you are to get a meal from this great establishment in time for your family feast. Whole Foods Market in Yorkville also offers a wide menu full of options for your Thanksgiving, Christmas, Hanukkah or New Year's Eve celebrations, where you can build your own meal or order one of the family dinner packages; choose to cook it yourself or pick one of the options you can reheat and serve. Whole Foods has a variety of vegetarian items as well and even offers a full vegan holiday dinner (sold per person). Explore the "order online" section of the website for all the options (There are also Whole Foods Market locations in Oakville and Mississauga).